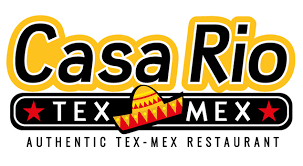 Name: Casa Rio Easter Buffet! Scrambled eggs, ham, bacon, sausage and pancakes with warm syrup. Plus our Chef's Special Huevos Rancheros along with seasoned beef and chicken, tortillas, chips, queso, salsa and more. Dessert includes a chocolate fountain with mini streusel cakes, Peeps and other special sweets! 12 and under eat for $7.99.